NEW Graphic T-Shirts in the Cleverly Shop! Happy Thursday! I’m super excited to share that there are FOUR new graphic t-shirts in the Cleverly Shop today!! I have a lot of plans to expand the shop this year, so this is a milestone that I’m ready to CELEBRATE. Let’s talk about the different designs and, of course, this comfy material. All of my shirts are screen printed on incredibly durable, soft Bella + Canvas unisex t-shirts for a relaxed fit! 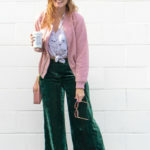 I love these graphic t-shirts and honestly wear them all the time, whether it’s part of a colorful, styled outfit, an easy basic with a pair of jeans or a comfy addition to my sweatpants. 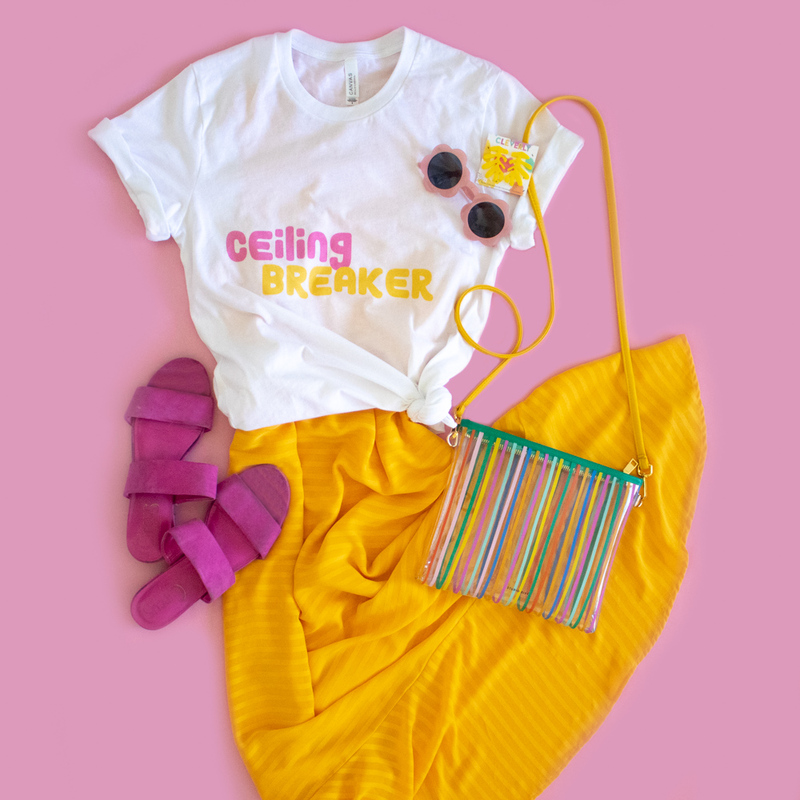 Ceiling Breaker T-Shirt: Ladies, let’s break those ceilings! I designed this tee with a fun, colorful 70s-inspired font because I never want to take things too seriously. Even though I believe it’s an important message about female empowerment and women and business, I wanted to keep it the design itself lighthearted. 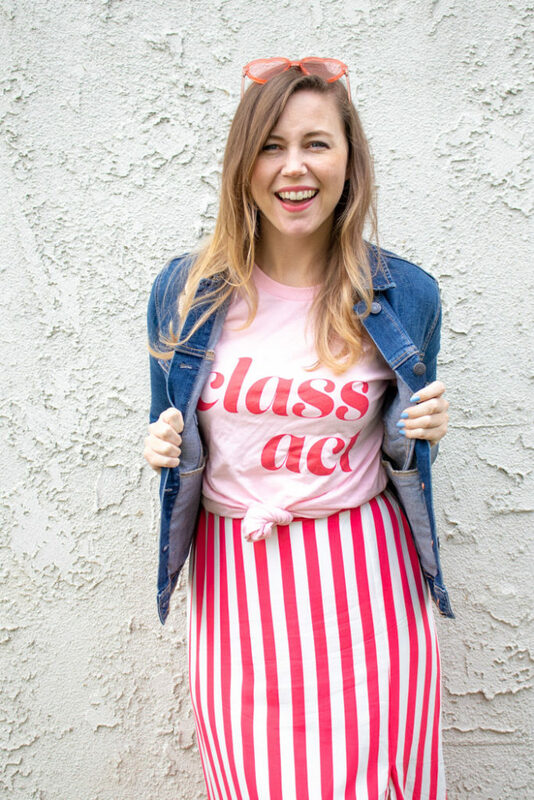 Class Act T-Shirt: Pink and red is such an under-appreciated combo! I always joke that I’m not a “classy” person. Like, red wine and popcorn is my ideal meal (or burgers and beer), and I honestly picture myself wearing this tee while shoving handfuls of popcorn in my mouth with my hair in a messy bun during a Grey’s Anatomy marathon. Own that classiness! 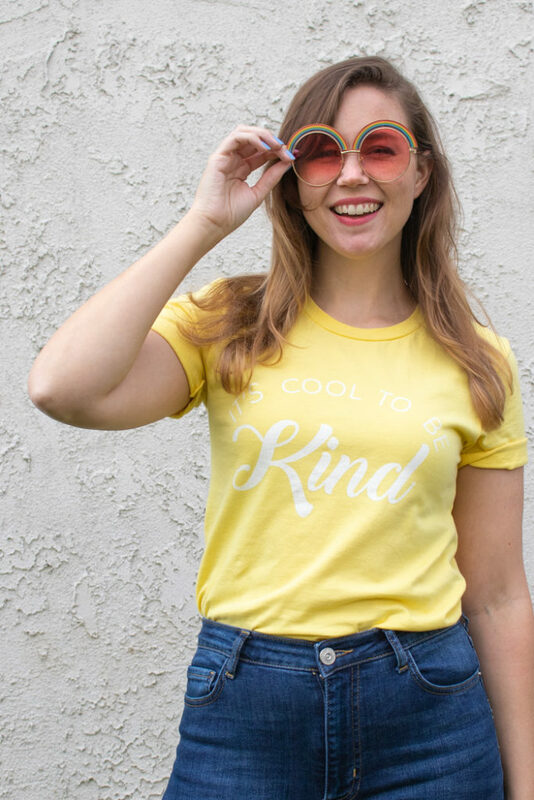 It’s Cool to be Kind T-Shirt: I believe a little kindness goes a long way, and yellow is the color I associate with happiness and kindness. As kids, we grow up with some idea that being “cool” doesn’t necessarily mean being kind, but as adults, I think this t-shirt is a reminder that kindness is actually cooler. Kill ’em with kindness because being kind is the best thing you could be. 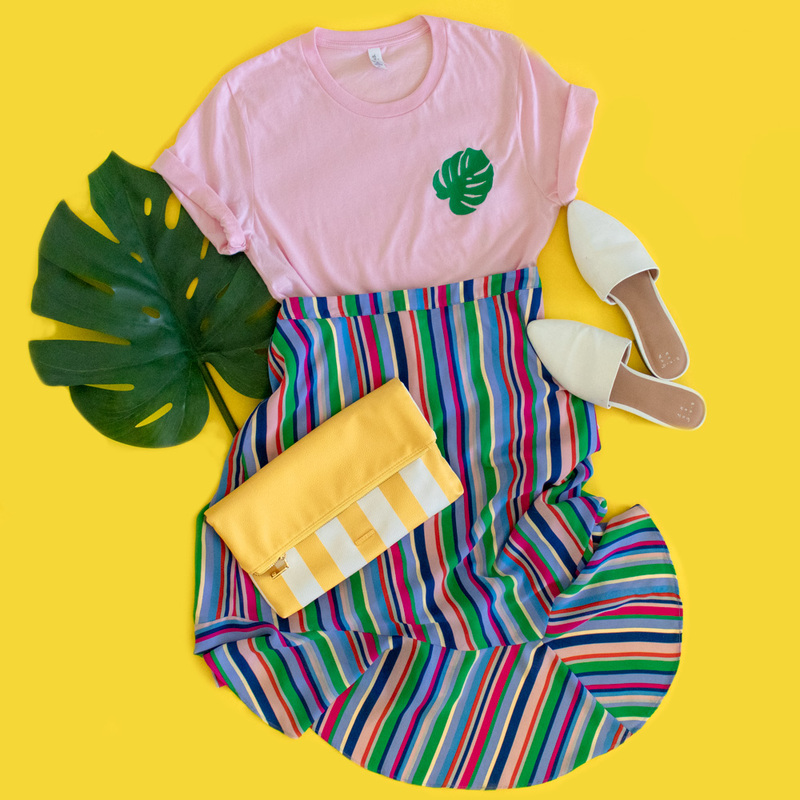 Embroidered Monstera Leaf T-Shirt: For all my plant ladies (or aspiring plant ladies), this tee is an homage to the beautiful Swiss cheese plant, or monstera leaf plants. 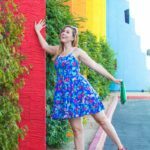 Pink and green is another combination I love, so I’m bringing #plantsonpink to a simple tee that goes with just about any outfit! All of these t-shirts are available NOW in the Cleverly Shop in sizes XS – 4XL starting at $24 alongside products like my acrylic earrings and enamel pins. I want to stress that these tees are for EVERYONE and I hope to share outfit inspiration for incorporating graphic t-shirts into any type of wardrobe with you all soon! In the meantime, please let me know if you have any questions! 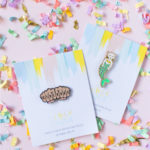 The New Cleverly SHOP is Open! Hi! I love your tees! What size is the model wearing in the pics? Hi! Thanks so much! Both are a size small.